Bill Clinton gets the plush treatment! This plush features the 42nd President of the United States in a nice black suit and red tie, ready to hang out in your home or office. 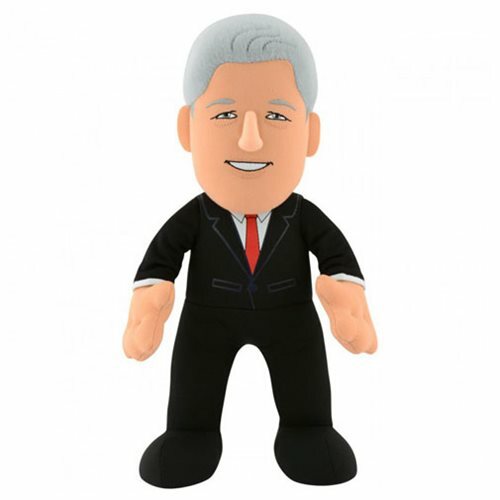 Show your support for the Clintons with this Bill Clinton 10-Inch Plush Figure!